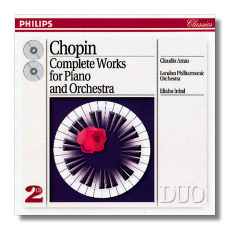 Frédéric François Chopin (March 1, 1810 - October 17, 1849), is remembered today as the composer of some of the most challenging and subjective music in the whole of the keyboard repertoire. 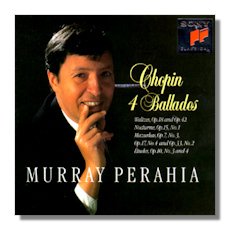 A Pole who spent his mature years in France, he brought to his music a keen interest in his native musical forms and was a precursor of the "nationalist" composers who did so much to bring new life to Classical music during the course of the 19th century. 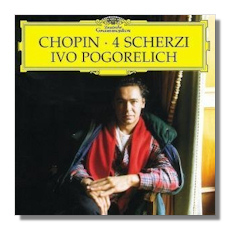 Chopin was another of the blighted Romantic generation who was doomed to die young through physical infirmity; in his case it was not syphilis which claimed Franz Schubert and Robert Schumann. but tuberculosis which also killed Carl Maria von Weber. Frédéric was the only boy of four children born to Nicholas Chopin, a professor of French at the Warsaw Lyceum, and his wife Justine. 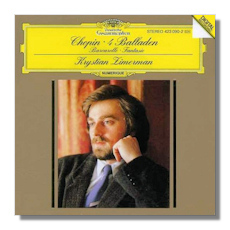 His father taught him until he was old enough to go to the Lyceum, but his musical proclivities manifested themselves early and at the age of seven he began piano lessons with the Polish virtuoso Wojciech Żywny. The lessons were so successful that the young boy played at a public concert before he was nine. He also wrote a little march for the Russian Grand Duke Constantine, who not only accepted the dedication but had the work scored for military band. At the age of sixteen Chopin entered the Warsaw Conservatory where he was taught by the composer Józef Antoni Franciszek Elsner (1769-1854). 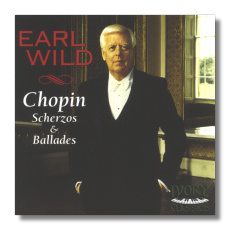 Elsner was helpful in a number of ways, but two in particular: he taught Chopin the value of sheer hard work, and ignited in him a passionate interest in the music and culture of Poland; the latter was to become especially significant to Chopin later in life. By 1828 his student days were over and he departed for Berlin, where he heard a series of new operas and also caught glimpses of musical personalities such as the Italian opera composer Gaspare Spontini (then very fashionable) and Felix Mendelssohn (only twenty at the time but already making his way). Duly inspired, he traveled to Vienna where a Count Gallenberg, apprised of his abilities, had organized two concerts. 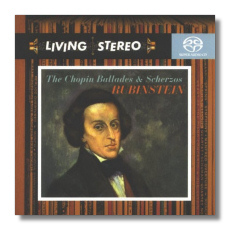 These went well, and this early success was enough to convince Chopin that he could earn his living as a traveling virtuoso. Returning to Warsaw, Chopin lost his heart to a Conservatory student, Constantia Gladkowska. 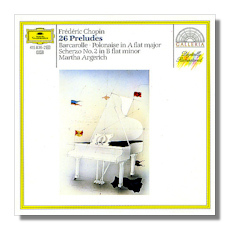 It is believed that his feelings for her inspired the beautiful slow movement of the F minor Piano Concerto (called #2, although composed prior to #1). 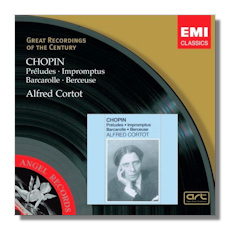 Whatever the emotional reasons for this work, it is true to say that both concertos were written to satisfy the young virtuoso's need for concert works to play while establishing himself as an international performer. In late 1830 he embarked on an extensive tour which took him to various German towns, then on to Prague, Vienna, Munich and finally to Paris, where he arrived in 1831. The tour had not been financially rewarding, but it had at least kept him away from the ferment of the Polish Uprising of 1831 which at one point he was tempted to join, but the brutal Russian response persuaded him to keep clear of his homeland for a while. 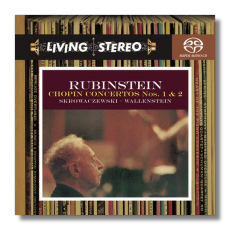 In his music he poured out his reaction to what was happening to Poland, especially in the Etude in C minor, Op. 10 #12. 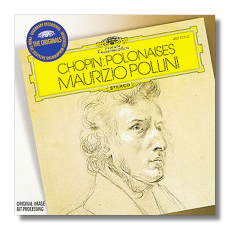 Paris was receptive to a gifted Pole at such a time, and Chopin quickly met the cream of Parisian musical life, including Luigi Cherubini, Giacomo Meyerbeer and Franz Liszt. At his first concert, at which he played his Concerto for Piano in F minor, Mendelssohn led the way by applauding with great enthusiasm. 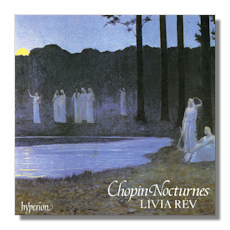 But Chopin's style of playing was not generally delivered with sufficient bravura to set the Parisian audiences alight. It was not until the intervention of the Rothschild family, offering him tutoring work and engagements for private functions, that he earned sufficient income to spend the majority of his time composing. 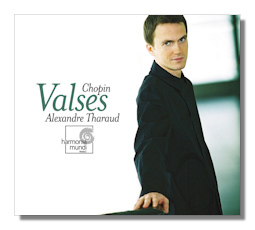 In the year that followed he gradually began to acquire a reputation in both France and Germany, and his works – waltzes, mazurkas, etudes and preludes, as well as other keyboard pieces – began to receive regular publication. 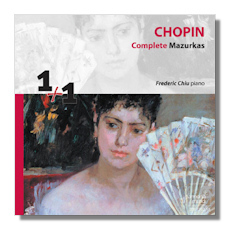 Chopin remained single, although an affair with Marie, daughter of Count Wodzinski, was terminated by her parents only after a prolonged attempt by the couple to win them over. 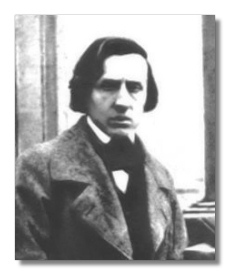 One of the Wodzinski's reasons for discouraging the match was Chopin's already poor state of health. 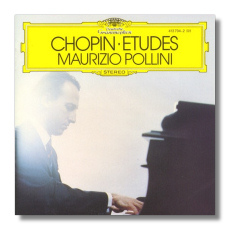 In July 1837 he visited England to obtain professional advice on his condition; the prognosis was not good, and Chopin returned to Paris with a good idea of what ailed him: he had consumption. 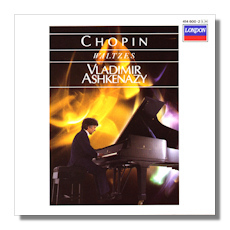 Prior to his London visit, Chopin had been introduced by Liszt to the fashionable and free-thinking novelist George Sand, a woman of generally gargantuan appetites. 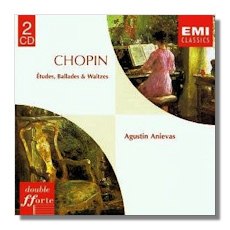 On Chopin's return to Paris the two began an affair which would last for a decade and was characterized by violent emotional storms and constant jealousy on Chopin's part. 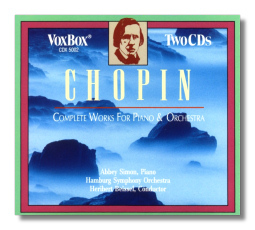 A woman of resource and experience, Sand had already been married and separated, and for her Chopin was the latest affair. In late 1839 she persuaded him to escape Paris with her and winter in Majorca. 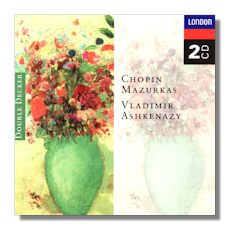 While this adventure began happily enough, things began to unravel as winter arrived in earnest and Chopin fell seriously ill. Due to Chopin's illness, they were asked to leave their comfortable apartments, finding refuge in a damp, cold monastery. Sand, with a family of her own to support, tended to the sick composer and managed to get him back to Marseilles, where she arranged for the best doctors available to aid his recovery. 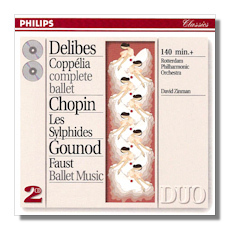 From Marseilles they moved to Sand's country house at Nohant, where Chopin put the finishing touches to his 24 Preludes and the famous Sonata for Piano #2 in B Flat minor into which he interpolated an earlier funeral march; such was his state of mind at the time. For the next few years Chopin's life revolved around George Sand and the company she kept: whether they were in Paris or spending their summers at Nohant, Chopin either composed or spent as much time with Sand as she was prepared to give him. 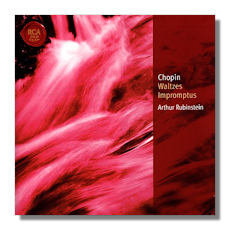 This should have sounded warning bells to the increasingly dependent Chopin, but if they tolled, he did not hear them. Sand was bound to tire of such dependency, and by the mid-1840s the danger signs were multiplying. Sand wanted her freedom once more, and although she still admired him, he no longer stimulated her. He never felt completely at ease with her children, and grew increasingly unwilling to share her with them. 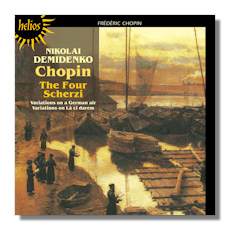 One of the characters in her novel Lucrezia Floriani was a Polish prince by the name of Karol; a thinly-disguised portrait of Chopin, it was almost entirely unflattering, and gave the distinct impression that Sand was looking for an excuse to break with Chopin long before the series of quarrels in 1847 which finally drove them apart. The novel was published soon after their separation, causing the ailing man considerable distress. 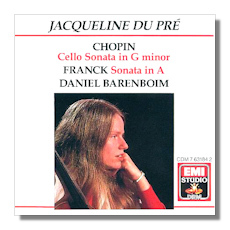 Such turmoil did not improve his state of health; when his Sonata for Cello and Piano Op. 65 was published, it was not hard to believe that it would be the last work published in his lifetime. 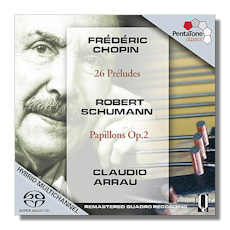 The following February he gave what proved to be his final Paris concert. With the outbreak of the revolution in 1848, he hastily left for London. Although a tour of Britain was organized for him with every good intention, it clearly overtaxed his waning strength, and when he reached Scotland in October, he collapsed and took to his bed. He was tended closely by friends and admirers, and his journey back to Paris was arranged with every consideration. He arrived in the French capital in November, low in spirits and unable to rally his strength. Although he continued to plan new works, he no longer had the strength to compose the music which had given his life its shape and meaning. He survived into the summer of 1849, but the arrival of autumn and the cold weather brought about the final collapse, and he died that October. At his funeral in the Chapelle de la Madeleine, Mozart's Requiem was performed, as he had requested. 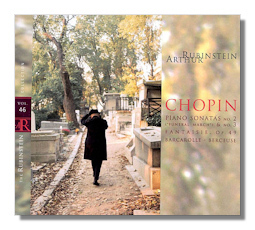 Chopin's legacy consists almost entirely of works for the piano. The instrument was everything to him, and he found previously undreamt of levels of subtlety and expression within its keys. He was acknowledged as a virtuoso, but one who had a very distinctive style, concentrating on delicacy of touch and extreme variations of dynamics and color. He was singularly gifted in the realm of melody, and was also a key figure in the popularizing of the polonaise, mazurka and other dance rhythms which was to lead many later composers to study closely the music of their own countries. 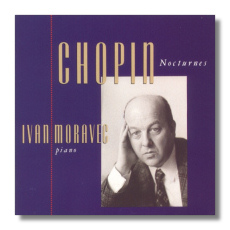 Chopin's music is often mercurial, and can move from the dreaminess of the nocturnes to the fire and spirit of the ballades and polonaises, the elegance and dash of his waltzes to the brutal emotional realism of his sonatas. 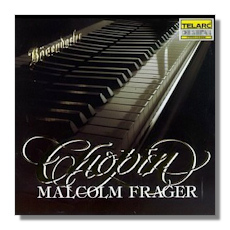 His output was relatively slim, and of his orchestral works only the two piano concertos have held their place in the popular repertoire, but the diversity and variety of his keyboard achievements, and the phenomenal technical challenges set by his solo pieces, have given him a special place in the development of music.